At CFI, we recognize that treating the mind can be just as important as treating the body during the fertility process. Few situations are as emotionally challenging, and patients often experience varying levels of stress, anxiety and shame during this time in their lives. 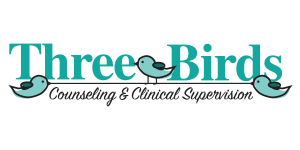 In order to provide a comprehensive approach, and guide our patients and their families through emotional challenges, Carolinas Fertility Institute has partnered with Three Birds Counseling. If you are experiencing difficulty going through the fertility process, seeing a counselor one-on-one can help you identify the issues that need to be addressed and provide you with methods of support. Our goal is to keep you as peaceful and positive as possible during your treatment and to identify helpful coping strategies. We firmly believe that a peaceful, positive attitude helps to achieve a successful outcome. As with all of our patients and families, the staff at CFI joins you on this journey to provide the highest level of support. For more information or to schedule a free 10-minute consultation, visit threebirdscounseling.com or call (336) 430-6694.